The online world is a lot of things, but being trustworthy isn’t always one of them. With more scams than you can shake a stick at and the constant threat of security breach and loss of money entering the lives of thousands via e-mail, social media, and a variety of other methods, it’s difficult to put your all into the internet. For this reason and many others, building trust with consumers is important, and while it’s much easier to do this face to face, you can give your brand a sense of loyalty over your website as well. This can be completed through visual aids, pertinent and up-to-date content, and customer incentives. When you are looking for the best in products and services, seeing a seal that represents a specific guarantee or level of achievement can go a long way to pacifying uneasy minds and making your customers become more open to the ideas that you’re selling to them. This can be easily processed through the creation of an emblem on your webpage that specifies a particular promise to your customers. For example, if you offer a one hundred percent customer satisfaction guarantee or your money back, then you could have a gold or silver badge to show this on the landing page somewhere. The most optimal placement for this type of image would be near your shopping cart or “buy now” option if this is a website that offers products or services. If not, you could place it with the link to your Amazon retail space or other retail outlet link for customers to better understand how you promise to take care of them and value their business after they make a purchase with you. Many website professionals in the field of marketing suggest that if you do go ahead with this idea you should stay away from bright colored badges that might give people the wrong idea. Red is often associated with negativity, stopping, or danger, whereas gold or bronze would convey a winning attitude and make customers more interested in buying the products associated with it. You don’t have to choose a metallic color to make consumers happy; in fact, you should stick to tones and colors that will mesh well with those that have already been chosen as your theme and background for the site. Matching these will make for a more visually enticing atmosphere as well as show customers that you care. Okay, so your business doesn’t have a sleeve, but it does have a webpage, and that’s where potential new business will go to look at who you are and what you represent as a company. If you want to build trust and show other companies that they can trust you, then you should proudly display your track record of satisfied clients. This can really give volumes of data to newcomers who are just checking you out. It shows that you have experience, and it’s much easier to trust somebody with your time, money, and business if they have experience in the industry that you need their services or products for. Showing past clients on your site not only portrays experience, it can also boost confidence and sales, particularly if the businesses that you have helped have proven to be successful themselves. Imitation is the sincerest form of flattery, but it’s also a key in the business world, and new companies will follow in the footsteps of larger and more successful ones to reach their own goals. Implementing a payment logo like PayPal, MasterCard, Visa or AMEX gives new clients the idea that they can trust you with their payments. Credit card and identity fraud are becoming a huge risk as more people become computer savvy and various applications and tools can be used to trick people into giving up their financial information. Logos that your consumers recognize will go a long way toward earning their trust and making them believe that their money will be safe with you. Secure payment methods are usually the best way to prove this, and these logos are fortunately some of the most well-known. Larger payment companies like PayPal also offer some convenient links and logos that make checkout easy and will keep shoppers interested in completing that checkout process. Marketing strategists are forever saying that you should be more than just an about page, and that about pages are outdated as far as website building goes. In some ways this is true because your site needs to represent you as a company, not just tell a story about how you came to be, although that information is still necessary and gives a strong sense of self and personality to consumers. This gives people something to relate to, and can force a kind of connection that you just can’t forge in other ways. Faceless companies aren’t going to get as far as a business that has an approachable factor. In the same way that an about page can bring you closer to your customers, you can make your website stronger by including photographs of individuals that work in your local office. This makes it even easier for customers to regard your business as a real person or real people rather than just a corporate logo. Show your face to build recognition not just as an online entity but as a person with feelings and needs, who also shops and uses services such as the ones that you are offering. This will make it easier for potential customers to contact you more freely. Of course, you should still keep things professional and remember that you are still representing a business not just yourself. It is true that you can buy followers on many social media platforms but if you really want to show that you can be loyal to your customers, create social networking pages through Twitter, Facebook and LinkedIn and make an effort to update them, share things, like other businesses, and give consumers a chance to follow you and get to know you. If you are good at this you can pretty much get yourself some free marketing, and the sight of all of those followers and friends will help make you more likeable to the public. Being social and making things public reinforces the image that you are trying to create for your clients, so let go and really get involved. 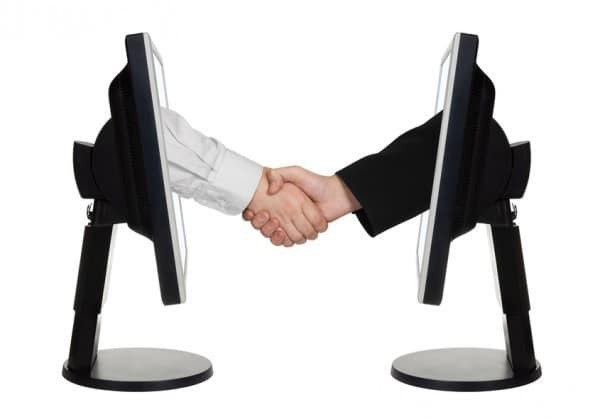 Customer reviews, ratings, comments, and testimonials help build trust in your site and in your company. As people tell others how they feel about your products and services in a public area it brings in more traffic to the website when others come around to check you out. 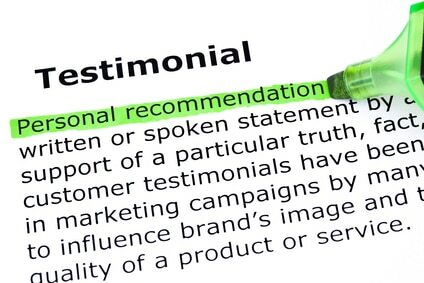 It also looks really good when you are the one offering this area for posted testimonials, be they good or bad. Of course, the positive reviews are always going to earn you more credibility, but sometimes a site that shows only good and not a single bad comment can look forced or paid for. It’s easy to delete the bad, and customers know this. Most people who are online know the basics, which means that you aren’t fooling anybody by pretending your clients think different of you than they actually do. Posting continuous content and making yourself likable isn’t enough if the content that you are posting isn’t also useful and relevant to your niche. Every industry has a target audience and a particular field of practice. It’s important that you focus on this when you update a blog, post a photo, or make a comment from your social networking account. Obviously, you are being useful to those who buy your products or use your services because you are offering something that they need. But that usefulness is in relation to what is being sold, not to the website that is being viewed. Remember that you are not the only fish in the sea, and customers can just as easily get a product or service similar to yours by performing a quick and easy search on just about any search engine under the sun. So when you design your website you need to not only display what you are trying to sell to the world, but explain why they need it, and make sure that every piece of content that follows this can be linked back and related to what your product does, how your service can help, or other interesting and relate-able information in your industry. Whether you’re just starting out or you’ve had a website up and running for a long time now, there are always new tips and tricks to make it better and give your customers a more loyal and supportive site to visit. Taking the time to use the tips above will come back to you through sales and traffic before you know it, so embrace what your clients need and try to relate to them while you’re giving to them.